The cuisine of Singapore is influenced by the cultural diversity of its population. Chinese, Malay, Indian and western influences have all converged to create a wide range of options as well as an actual Singaporean cuisine. A search for Singapore recipes on any of my food apps would give the impression that the most famous dish from Singapore would be Singapore-Style Noodles- rice noodles with various meats, vegetables, curry, chili, lime and maybe chopped peanuts. There are endless variations and the Jamie Oliver one I tried was delicious. But no, Singapore-Style Noodles are not really an authentic Singaporean dish. One is much more likely to find it in Hong Kong than in Singapore. The actual ‘national dish’ of Singapore would have to be Hainanese Chicken Rice-Boiled chicken with oily rice and chilli. This is something you can find everywhere and of course, there are numerous variations on this theme. 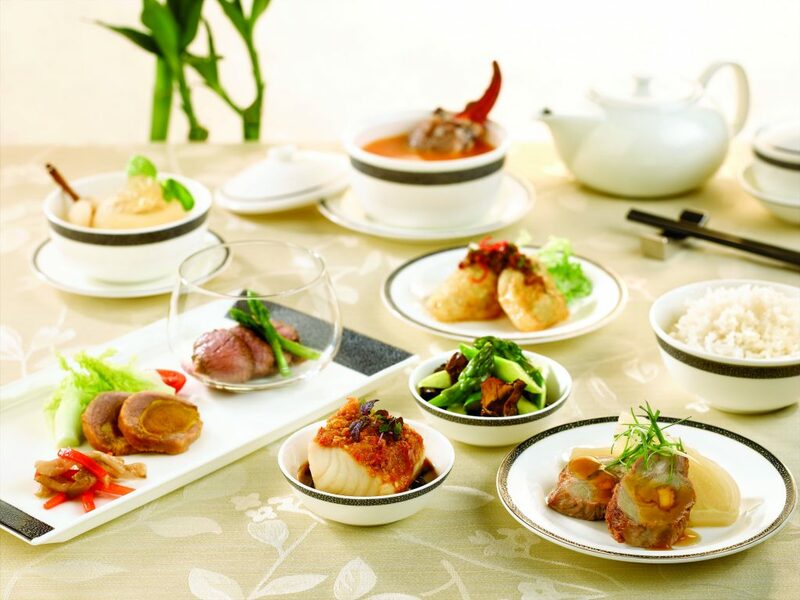 Other common dishes you will see include Chilli Crab, Laksa, a spicy noodle soup and Satay. Singapore is known for its street food. The so called ‘hawker centres’ are food courts located throughout the city, some indoors with air conditioning and some outside in tents or the open air. The overwhelming variety of cheap and exotic dishes make eating at a hawker centre a must on any visitor’s itinerary. 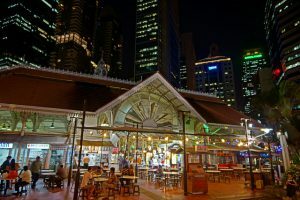 Lau Pa Sat – For old world charm in a national monument, head over to Lau Pa Sat in the financial district. 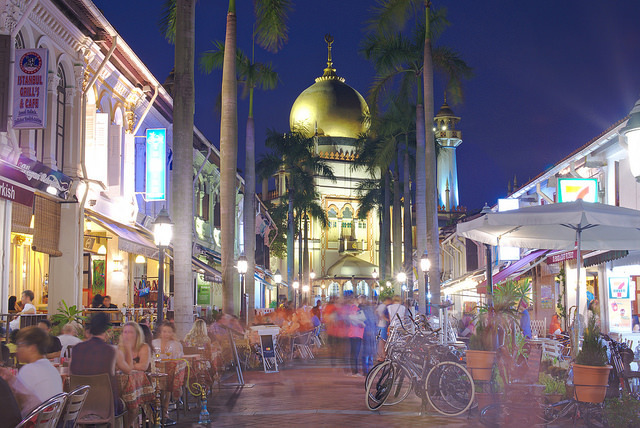 This Victorian cast iron building is one of the most attractive settings for hawker food. Tiong Bahru Market – If you are visiting the trendy neighbourhood of Tiong Bahru, try some of the creative and mouthwatering selections at Tiong Bahru Market, one of Singapore’s favorites. Satay by the Bay – For meat lovers, try the Malay inspired skewered grilled meats or satay at this eatery located in the Gardens by the Bay. The Singapore Food Festival takes place every year in July. Competitions, workshops, wine tasting, music and fashion shows are among the experiences that make this an amazing event. 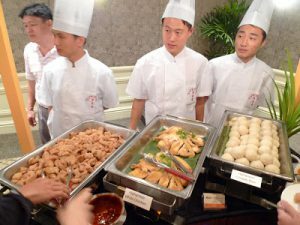 The World Gourmet Summit, an annual event in March/April proves that Singapore is not only about street food. The gourmet summit is all about top notch cuisine prepared by some of the most talented and creative chefs locally and internationally. This is something I made that turned out really well. I would definitely make it again and found it not too difficult. It is based on a recipe I found online at Allrecipes (The original recipe’s author is listed as Zephyloquy). I changed it quite a bit and was very happy with the results. Mix together the soy sauces pepper, crushed garlic and 1/3 cup of orange juice. Make sure you have separated the meat into individual ribs, then marinate the ribs in a covered dish for at least 30 minutes. Refrigerate if marinating longer. Remove ribs from marinade. Add remaining ingredients except oil to marinade and bring to a boil. Fry ribs on each side in oil until browned, then transfer to pot with marinade. Boil, uncovered for 20 minutes, adding more liquid if needed. Cover and simmer for about an hour. Serve with rice or noodles.